Our Bolsover Modular Play Tower is a castle themed design to help further inspire role play and children's imaginations. The platform's castellations add to the charm and help create themes for children's play. 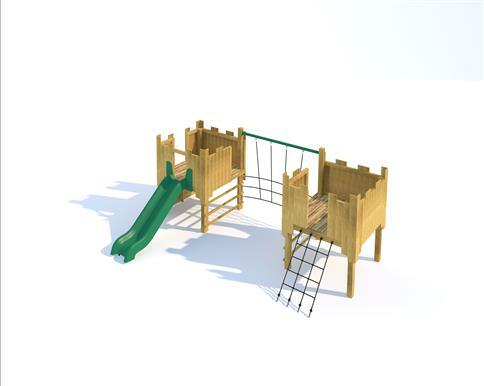 This tower design includes a Net traverse which is a challenging crossing pint relaying on children's balance, grip, coordination and upper and lower body strength. It also includes a varied mix of entry and exit points, focusing on children's fine motor skills. Children will need to take safe risks to overcome some of the more difficult elements. Who will be the King or Queen of the castle?